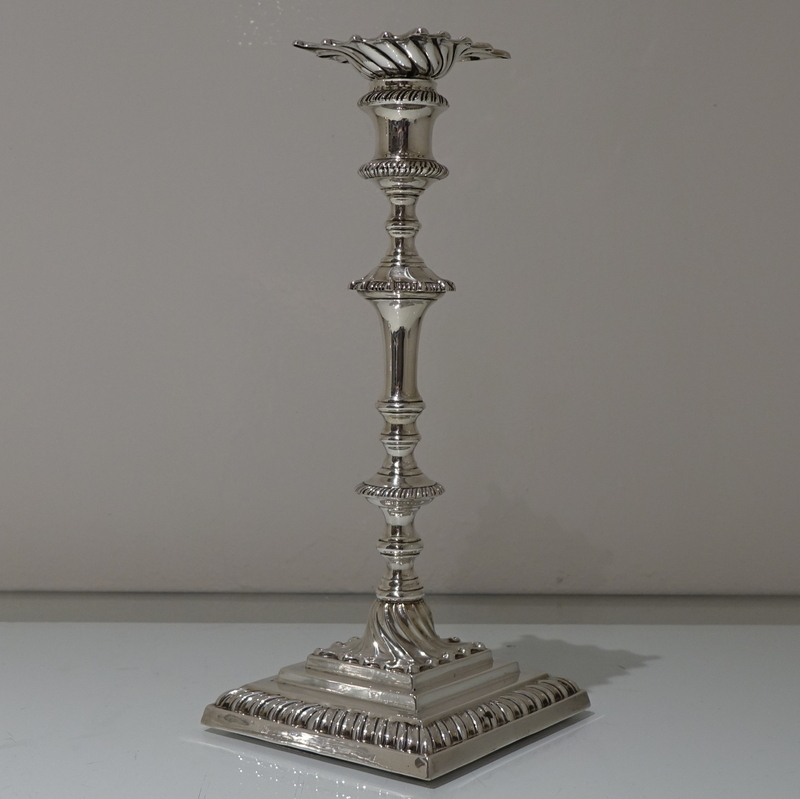 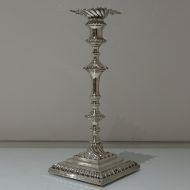 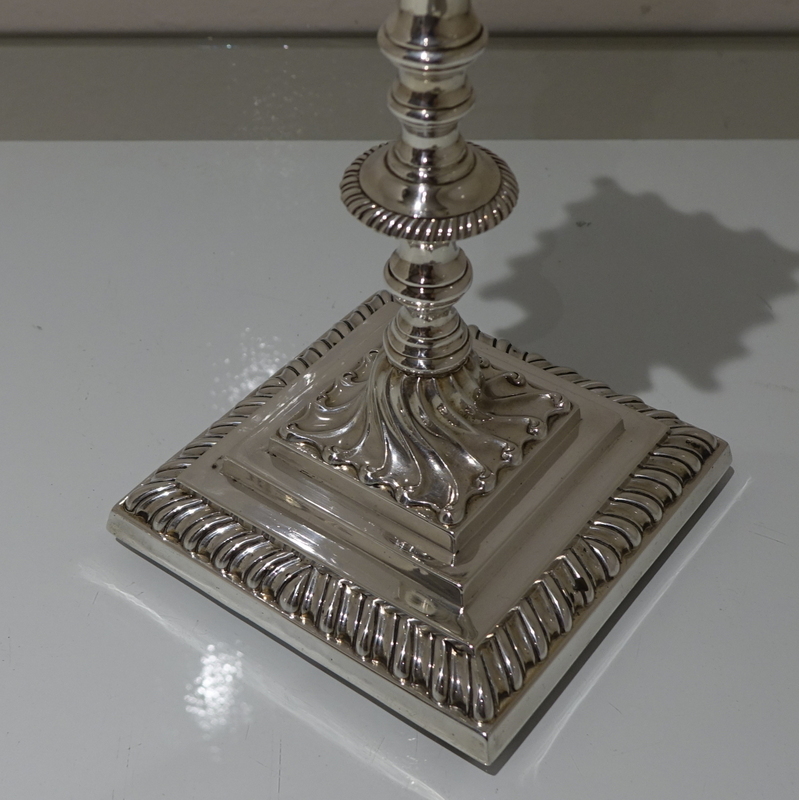 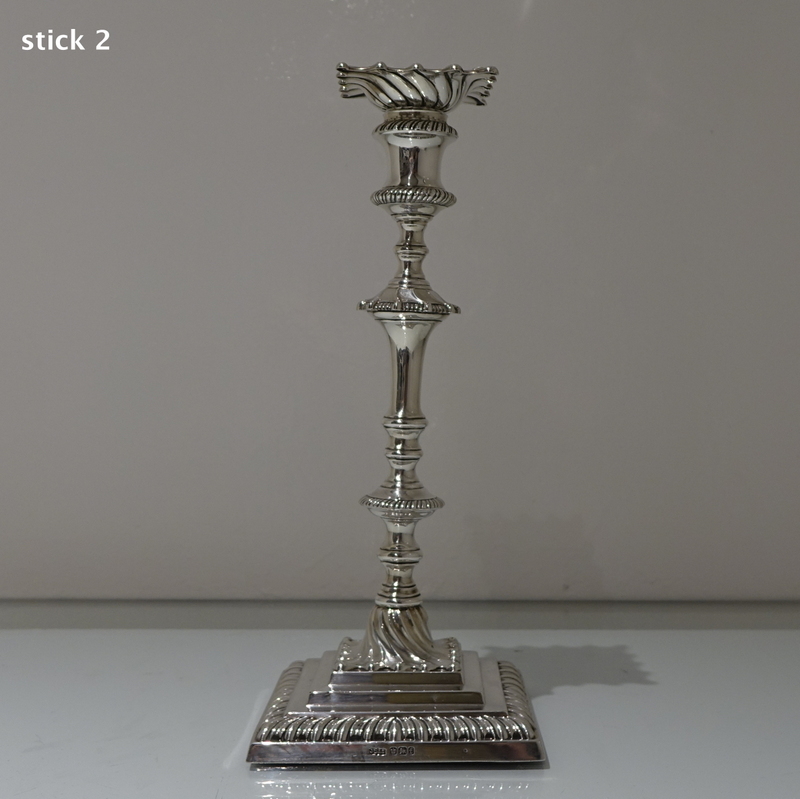 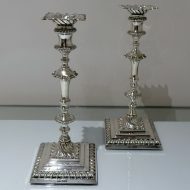 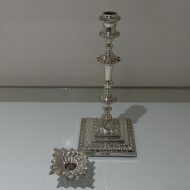 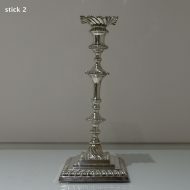 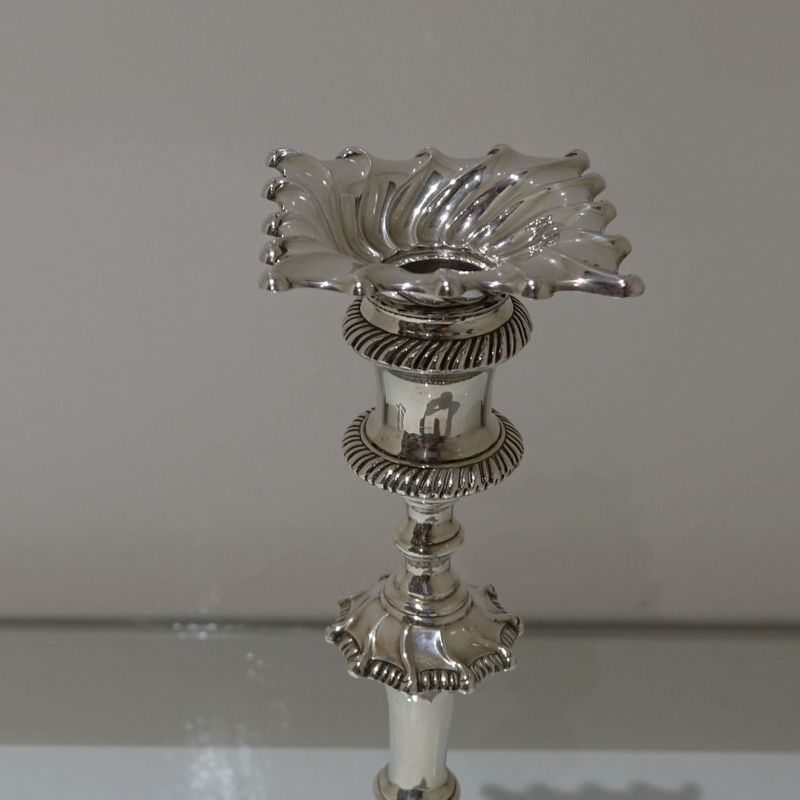 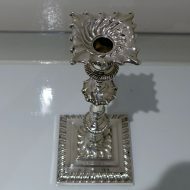 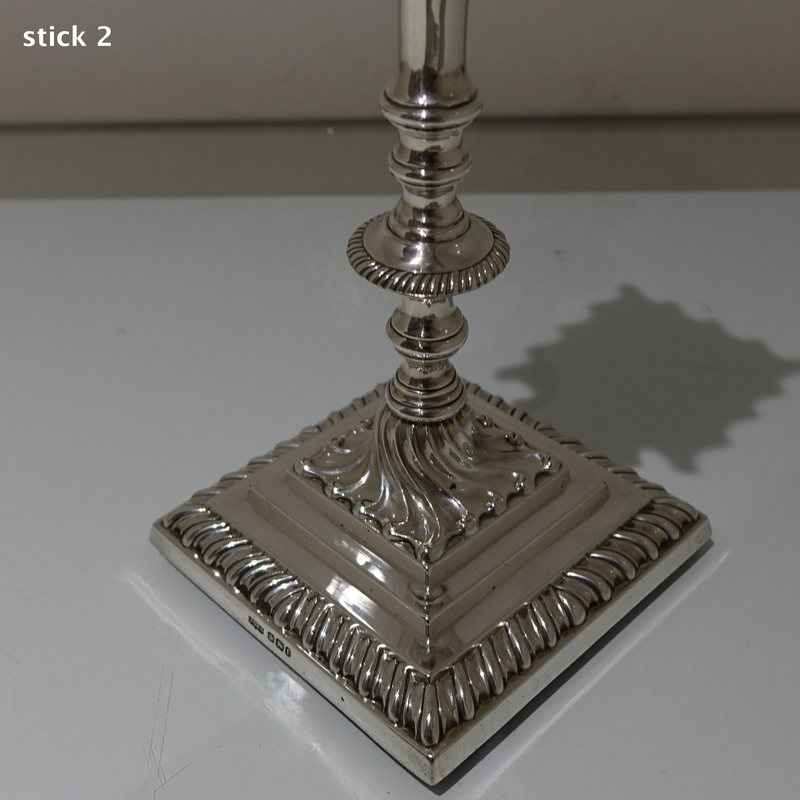 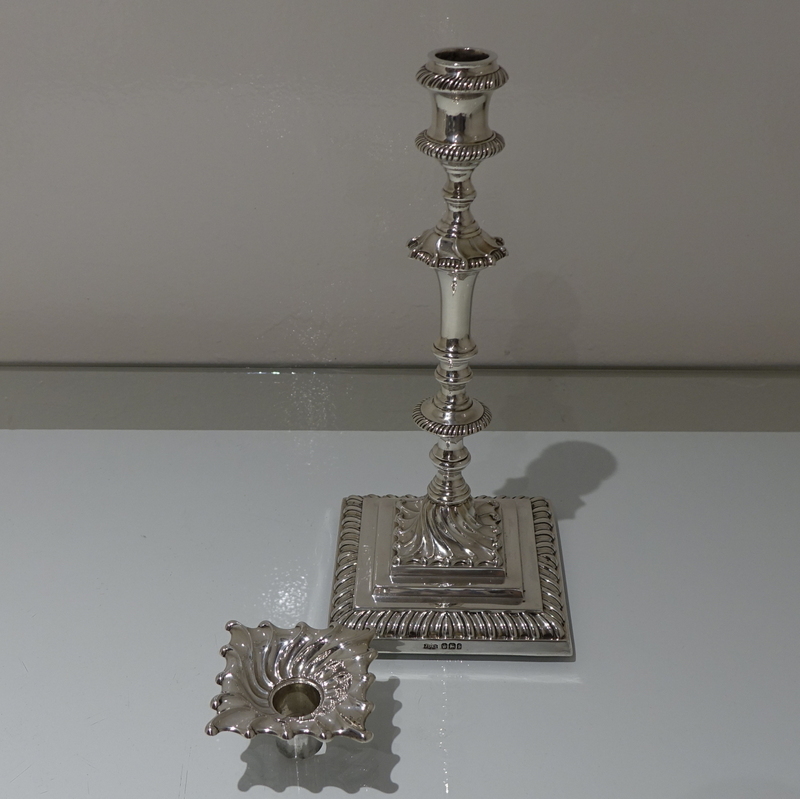 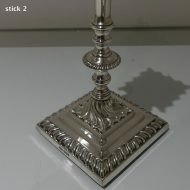 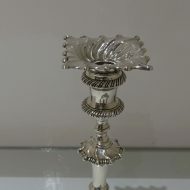 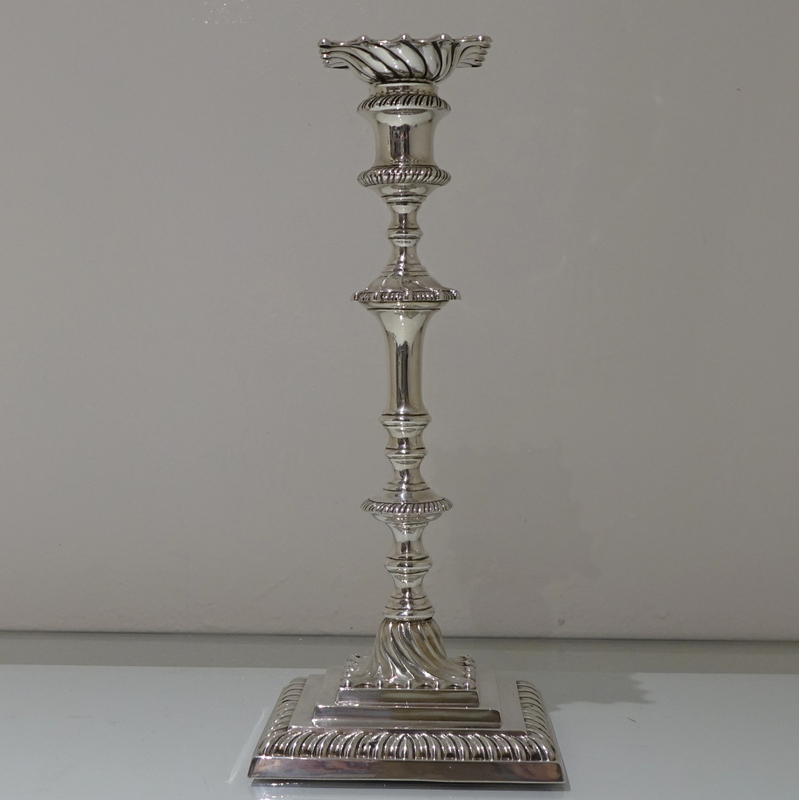 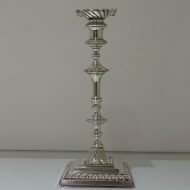 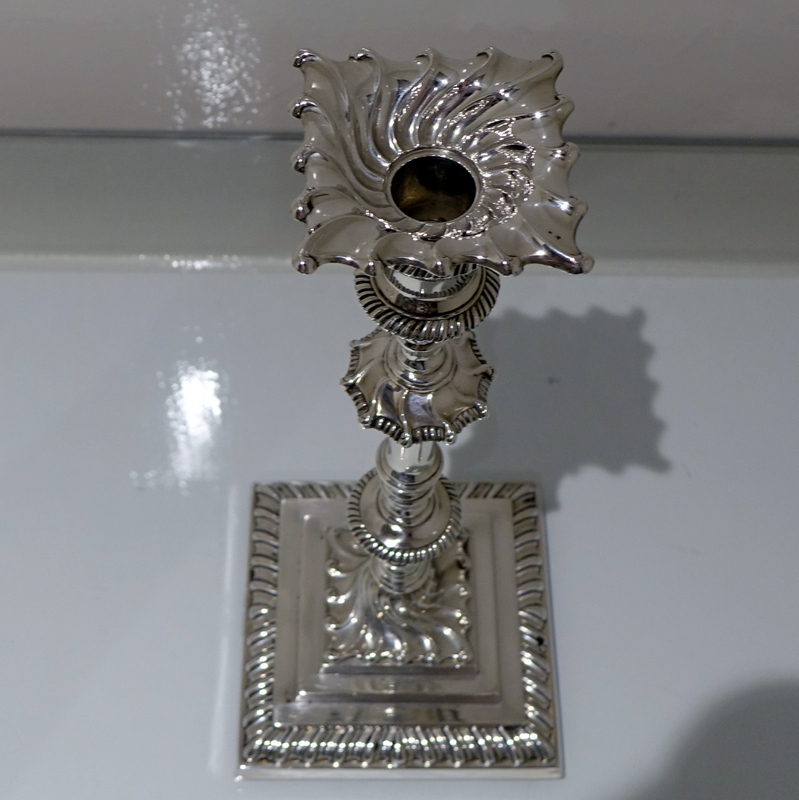 A stunning pair of Victorian silver square based swirl fluted candle sticks. 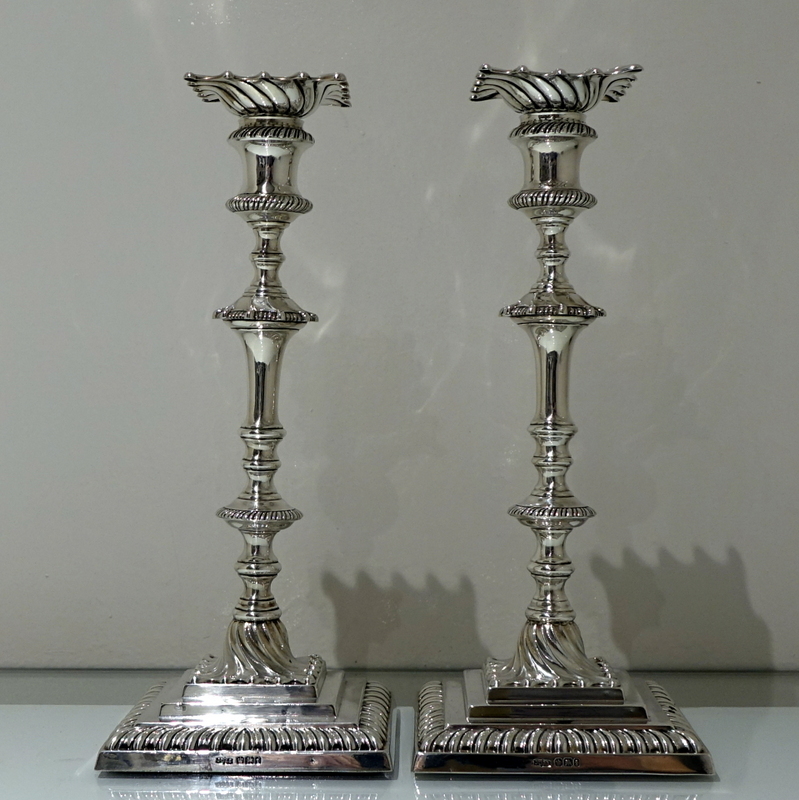 A stunning pair of Victorian silver square based swirl fluted candle sticks. 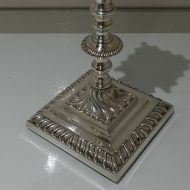 The applied borders are gadroon for highlights and the raised central plinth is “stepped” for decorative lowlights. 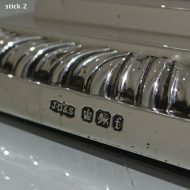 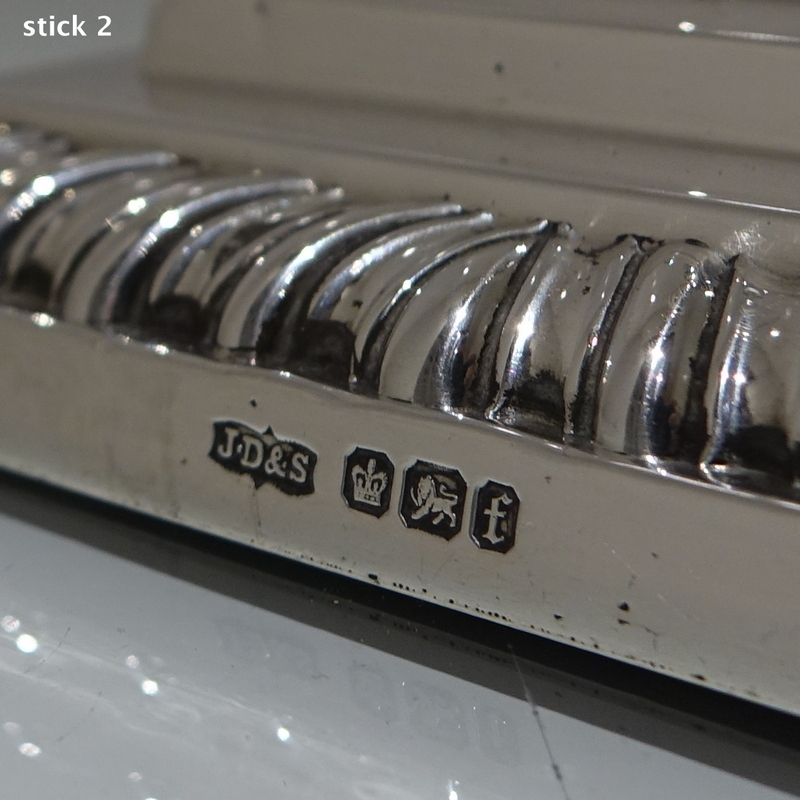 The stylish nozzles are detachable. 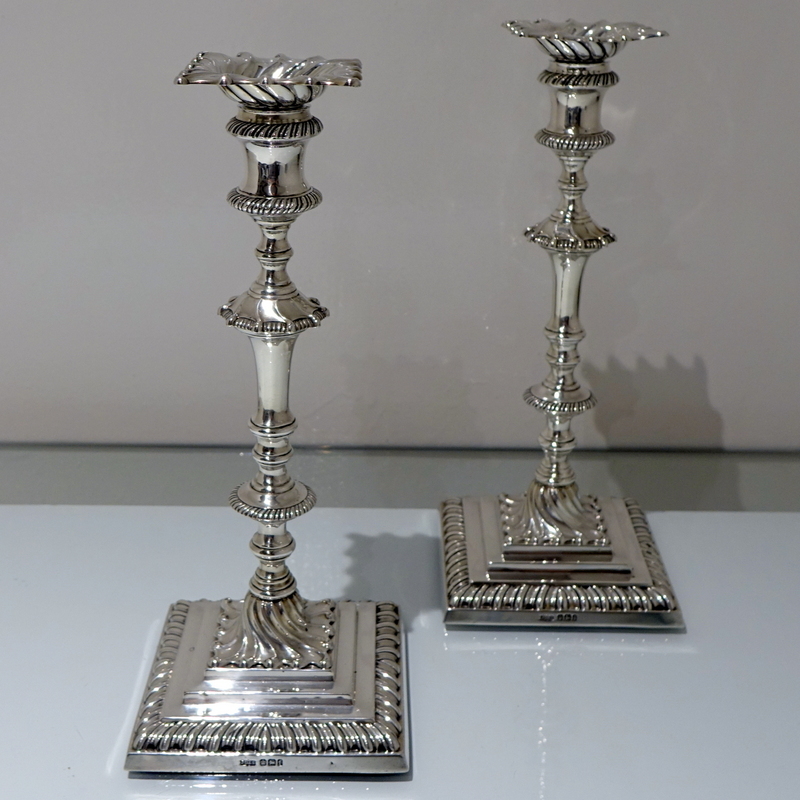 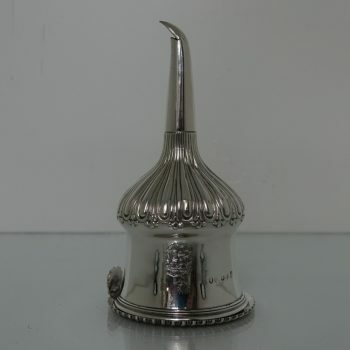 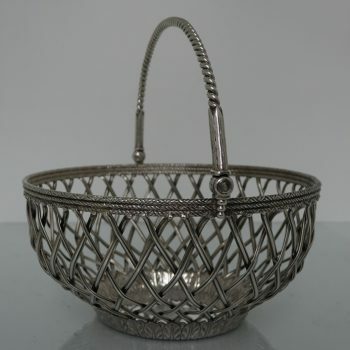 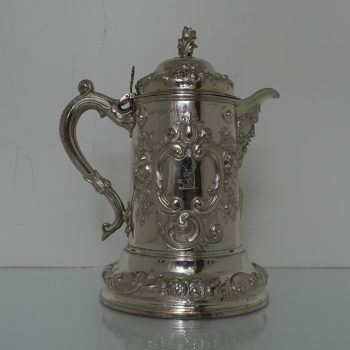 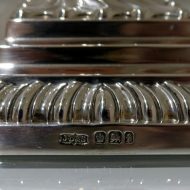 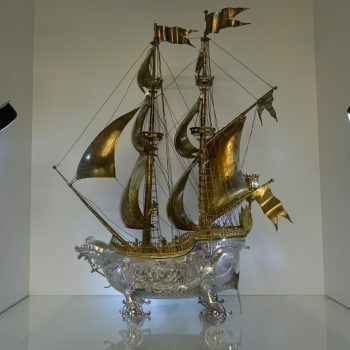 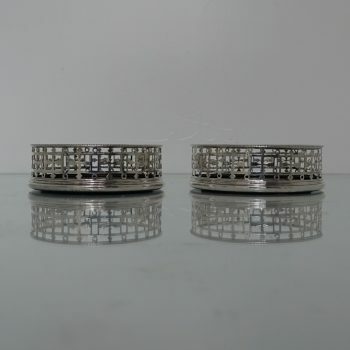 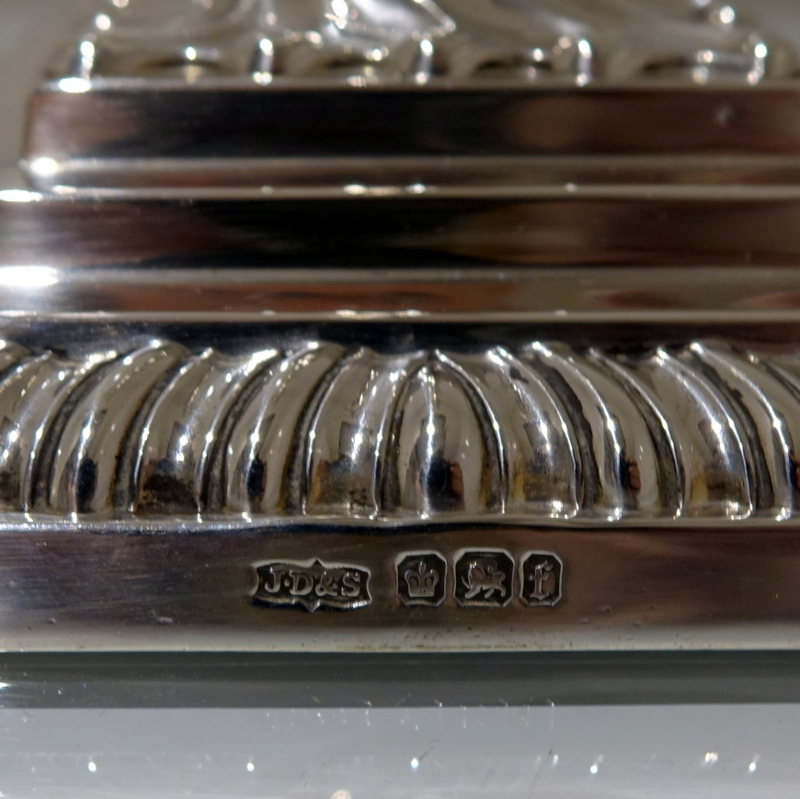 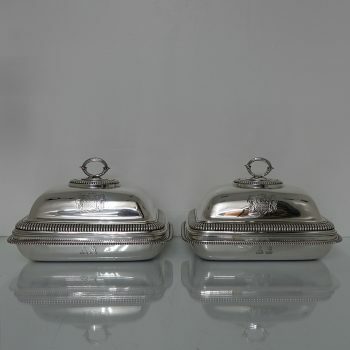 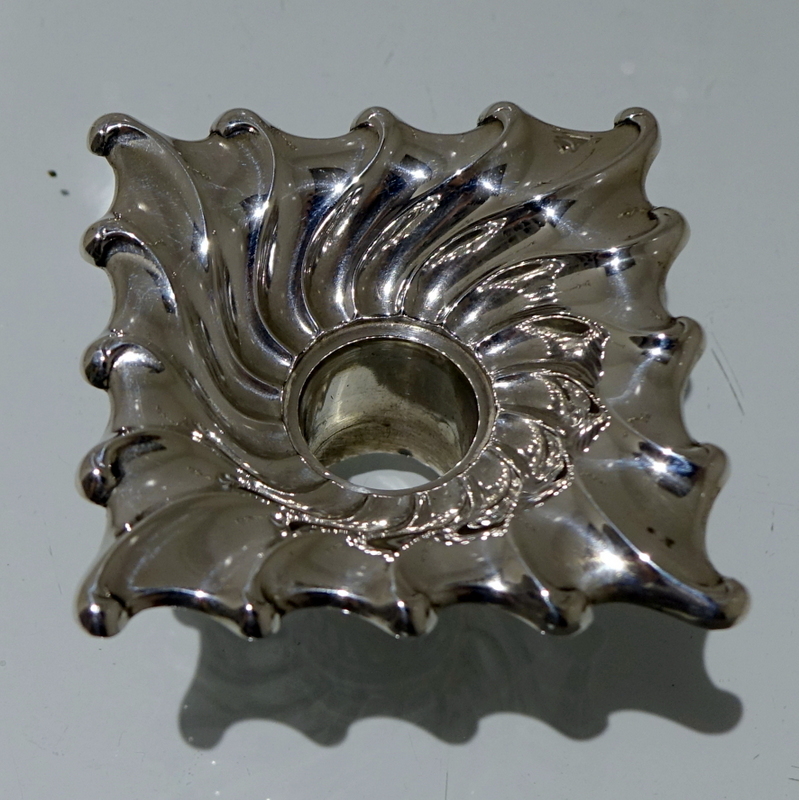 The business of manufacturing silversmiths, platers and Britannia metal workers was commenced in c. 1806 by James Dixon in conjunction with Thomas Smith in Silver Street, Sheffield. 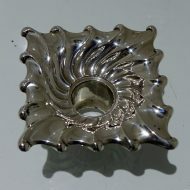 In 1824 they moved to Cornish Place, a large site, which enabled them to expand and develop the workshops, casting shops, offices and warehouses.